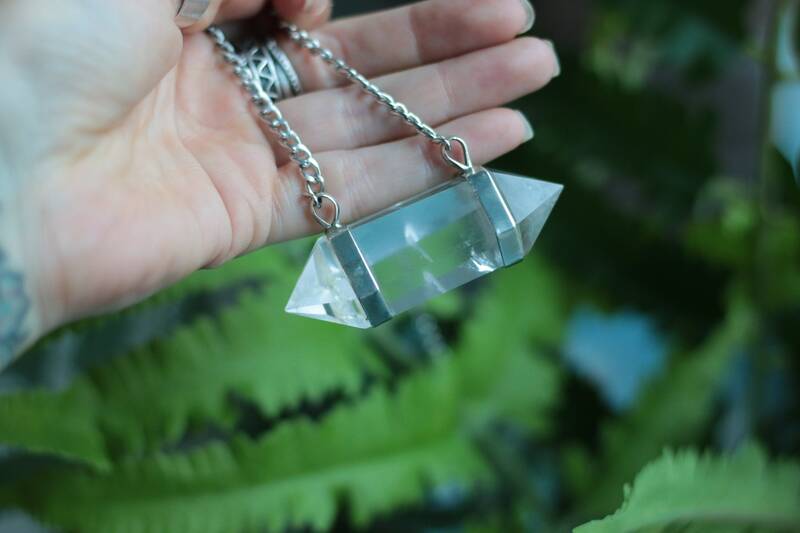 This understated design, but mega quartz necklace is simply incredible! 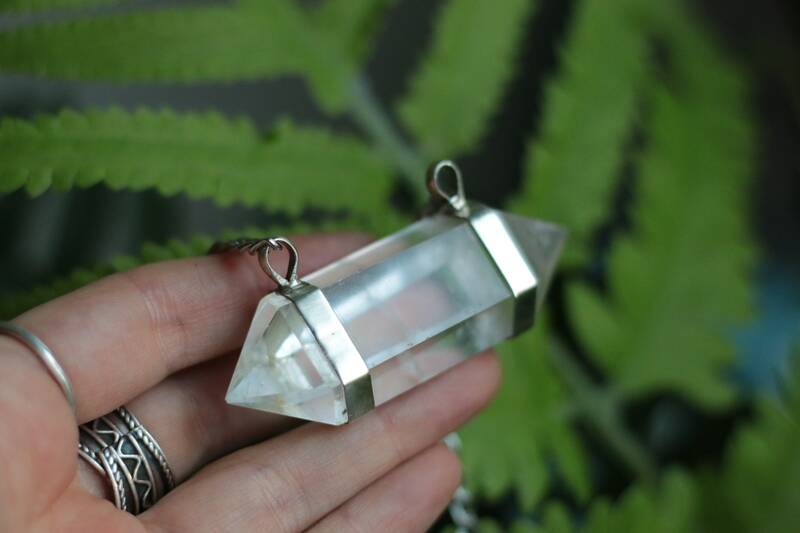 I combined a rare XL double terminated Quartz crystal with simple sterling silver design to highlight the natural beauty of the crystal. 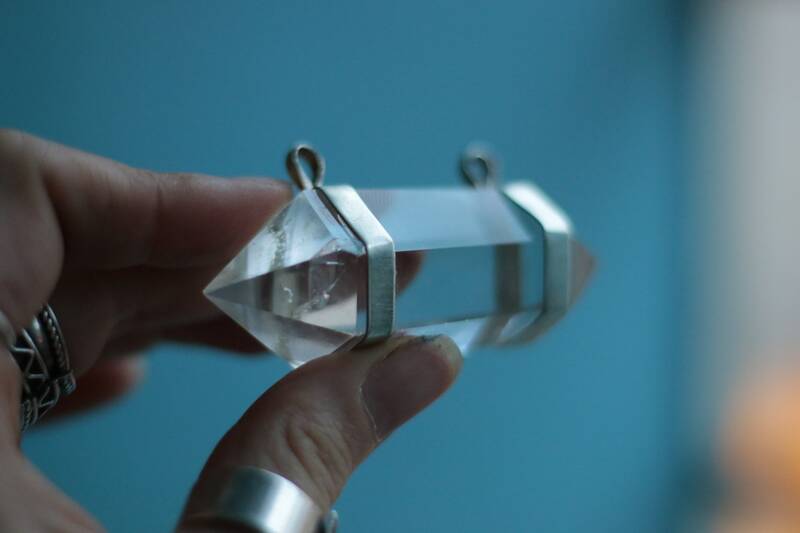 The crystals were hand sourced during my adventures in Morocco and brought back to turn into magical jewellery in my workshop in Liverpool, UK. We only have 3 crystals so we have a very limited quantity available and cannot get these crystals again. 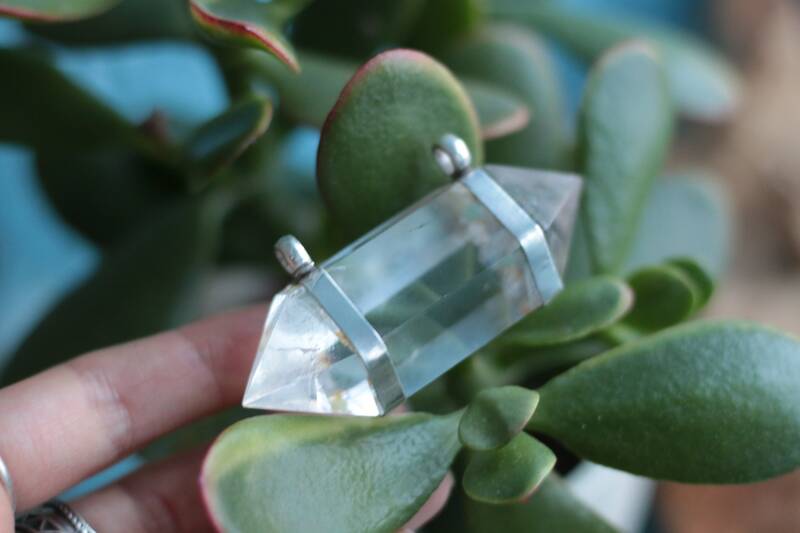 Quartz is a relatively common stone, but this double terminated quartz is of a rare cut, making it even more special! Some have phantoms inside and rays of colour inside their natural cracks within. We are passionate about creating bold and unique pieces and we only have 3 of these necklaces made. Once it's gone it's gone! * All jewellery comes neatly boxed and in an organza bag, making it easy to store and great for gift giving. * Some of these crystals have shatters inside the crystal, these are not chips and do not affect the strength or power of the crystals but are part of their natural nature and journey to you. So so stunning! I love everything about this piece. It’s bold, beautiful and powerful. I couldn’t be happier with this purchase.